" Use this mask as my back-up, and this replacement cushion pops on very easily "
Cushion Note: Please note that the silicone cushion is attached to a clear acrylic frame and the two cannot be separated. The size of the cushion can be found on either side of the full face cushion. Hold the mask with the elbow facing the user. 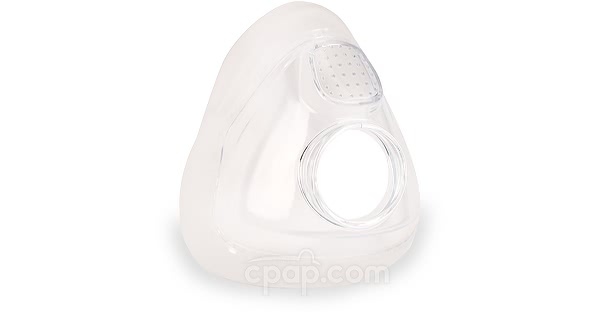 Then, turn the mask to the left or right to view the profile of the full face cushion. Near the middle of the cushion, the user will see a clear, embossed letter imprinted into an indention beginning at the bridge of the nose. The letter represents the size of the full face cushion.